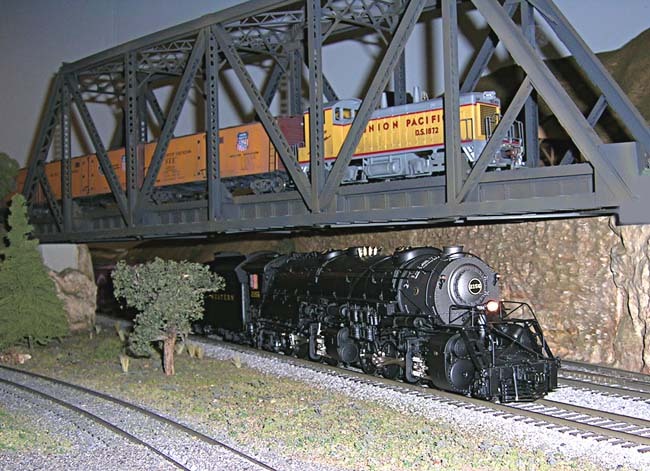 If you are an owner of one of our models and would like to share some in-service photos with other site visitors please feel free to submit your offerings to us either through E-mail or postal mail, we will return prints if requested to do so. 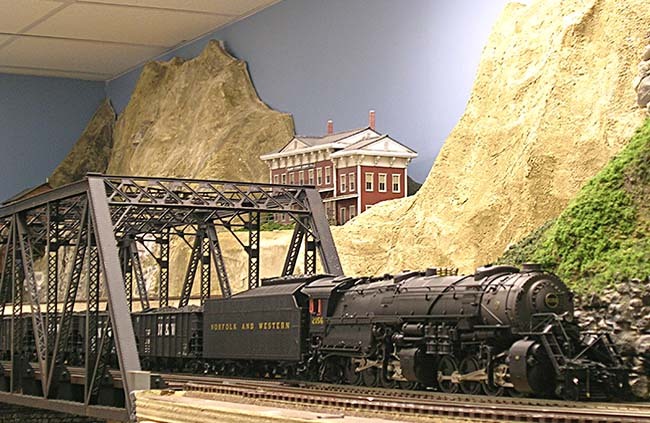 If you have an interesting display of your collection, feel free to submit those photos as well. 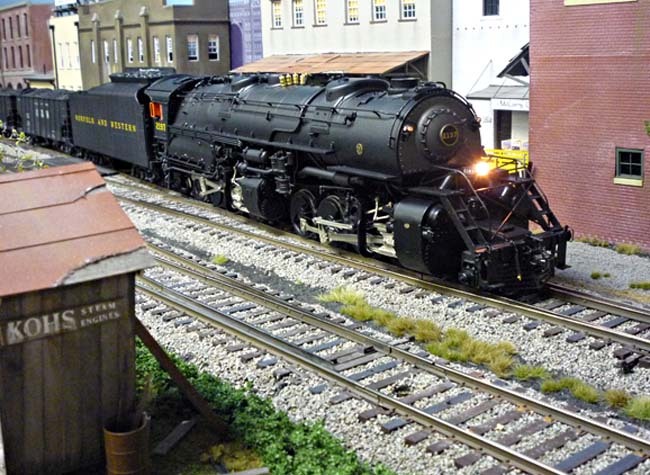 1/27/15 - After several years of waiting, I finally have some new photos to post of model owners layouts. The two photos below were provided by Edwin Moolenaar in The Netherlands. 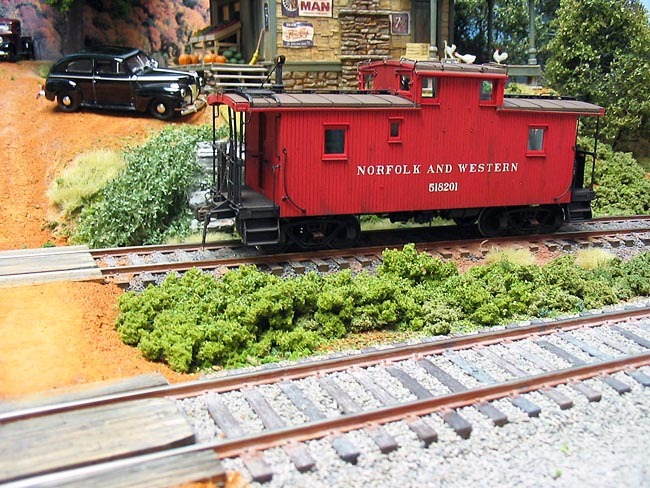 Edwin's layout is still under construction, but you can see the extensive detailing he has already done in these yard scenes. 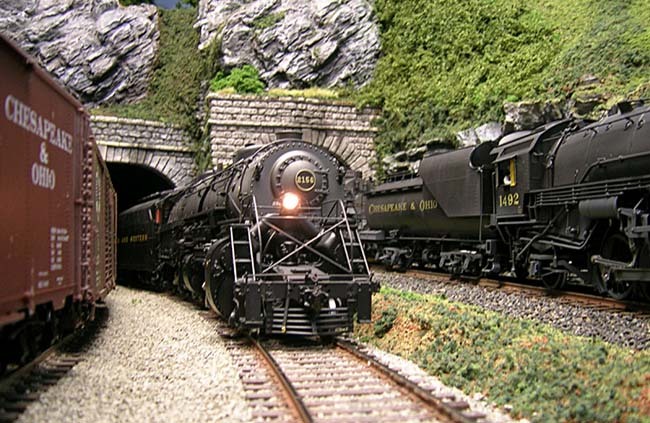 His Kohs PRR G-22b gondola and N&W C2-2 cab look very much at home. 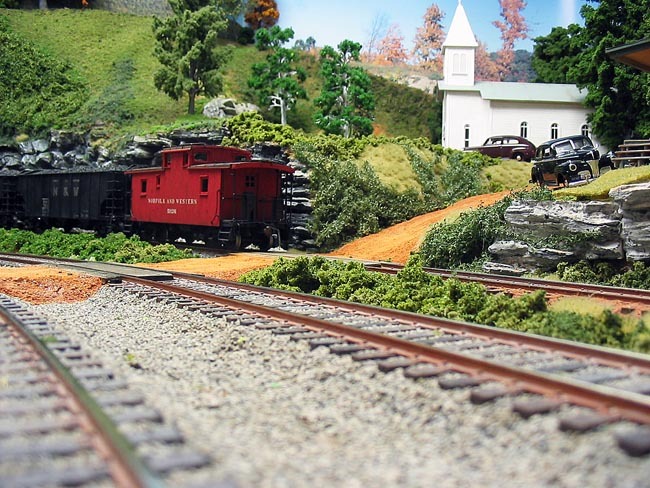 Edwin promises to add more photos as his layout progresses and I look forward to seeing more of his excellent work! 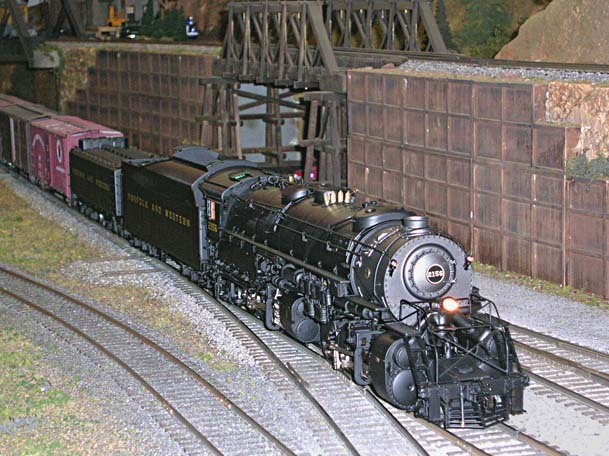 7/16/09 - In the seven photos immediately below you will see N&W Y6b #2197 in-service on Dr. Steve DeLoach's beautiful layout. 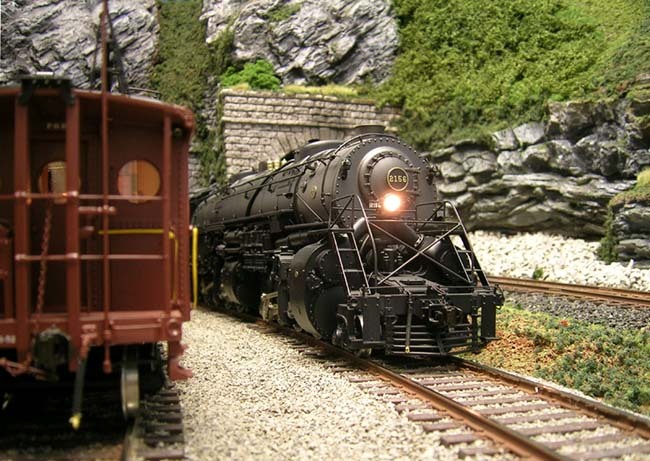 You will notice that I have featured photos of Steve's layout previously, but notice the fantastic new scenery that is shown in these new photos. 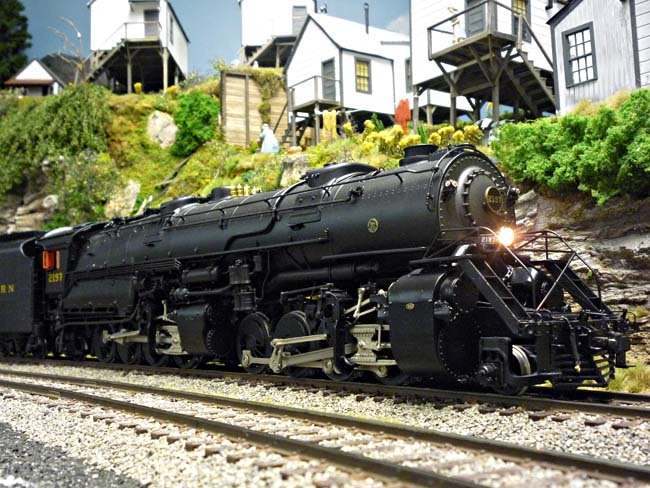 Some of the shots are very reminiscent of the photos that have been published from when the Y's and other N&W power ran through small towns and industrial areas. 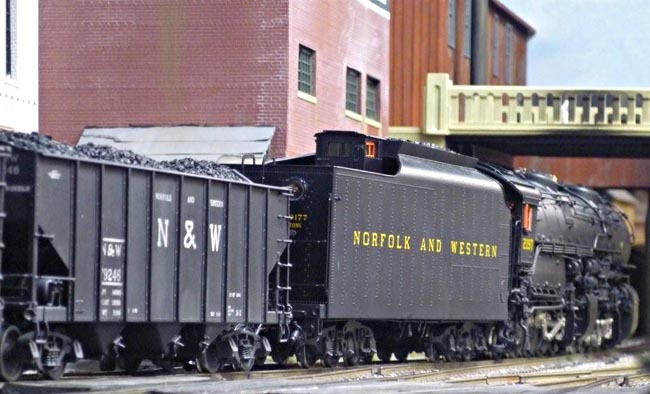 As I have mentioned in other areas of this web site, visiting those small towns even today is a real treat, many of them have not changed significantly since the N&W was there...........a real slice of Americana that should be treasured while it still exists. 1/02/08 - The five new images below are again from the layout of Dr. Stephen DeLoach in Dickson, Tennessee. 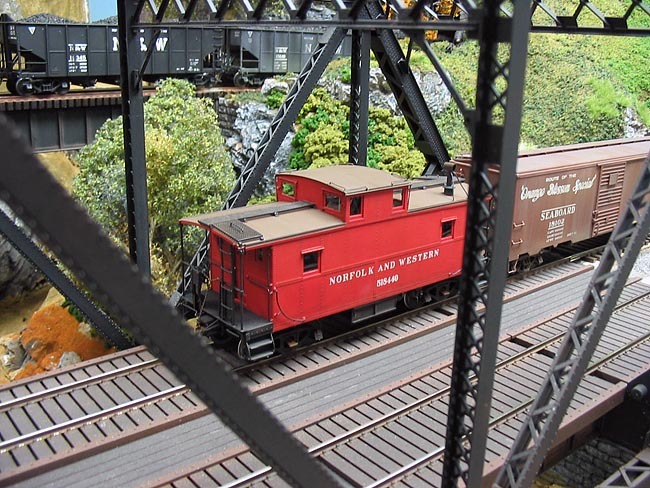 Many thanks to Dr. Steve for taking the time to update us on the developments of his road and also share photos of his new K&C cabooses just recently placed into service. 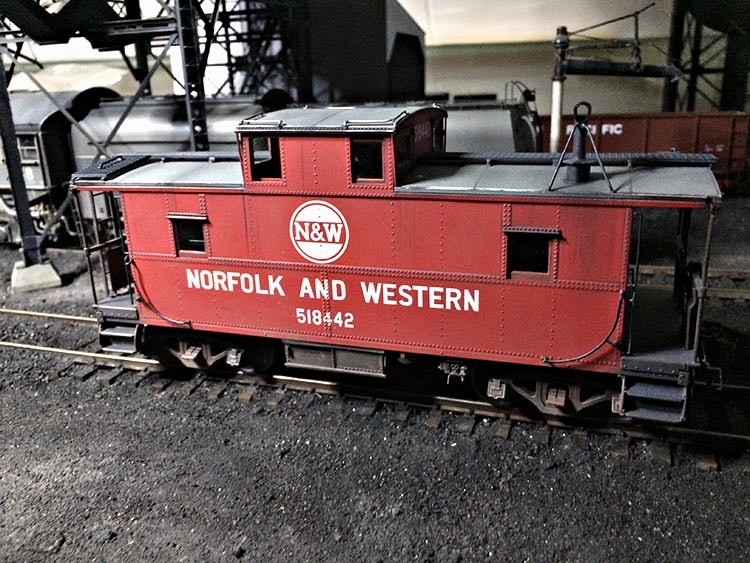 The two Norfolk & Western cabooses shown are actually the first in our new series of weathered equipment. 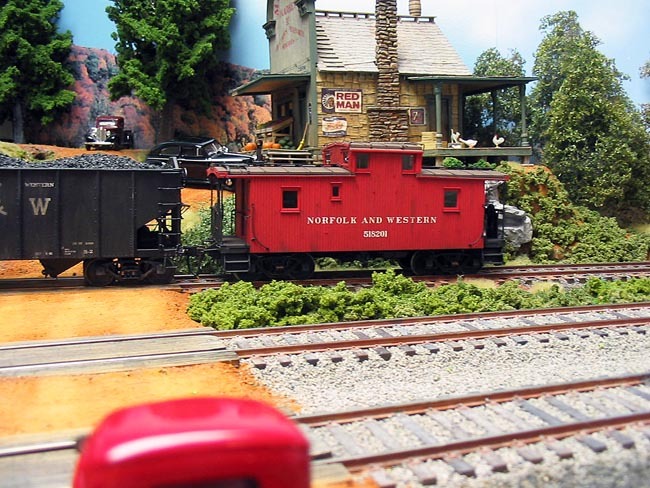 Steve was the first brave sole that allowed us creative license to 'dirty up' a couple of the cabs he had on order, we all feel that the results were quite effective and add their touch of reality to Steve's already fantastic layout. Again our thanks go out to steve on all counts!! The four photos immediately below are updated 'shots' of Dr. Steve DeLoach's home layout. 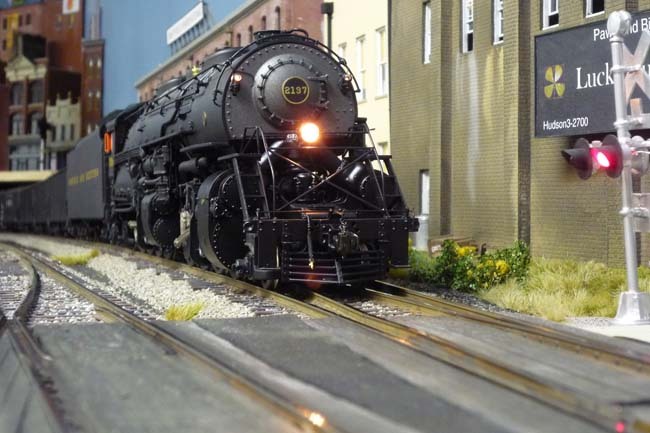 We have featured images from Steve's layout further down on the page, but he has made great progress in developing it and we just recently had the pleasure of seeing it first-hand. 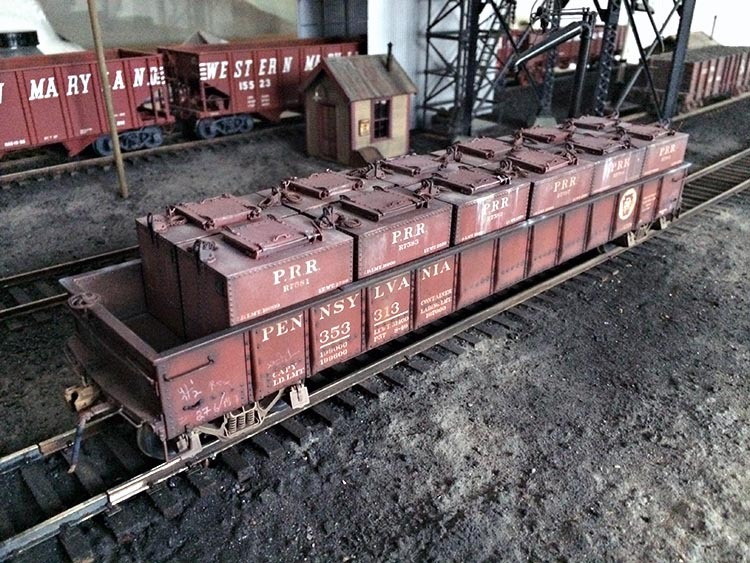 Shown in the photos is a variety of Kohs equipment: N&W Y6b, Pennsy K-4, Pennsy N5c cabin car and Pennsy GLe class cement hopper. 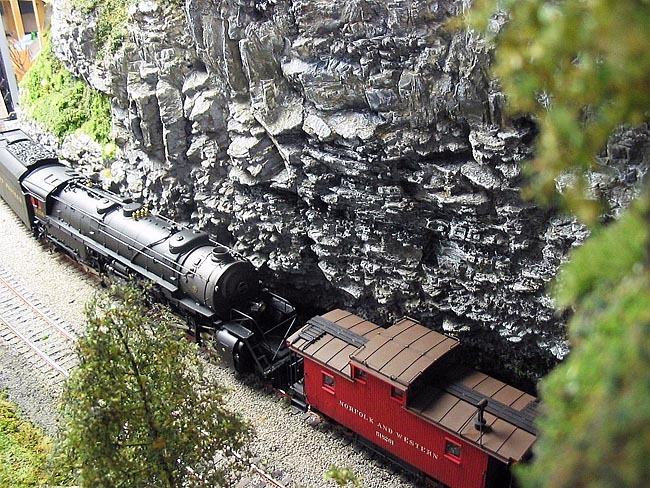 Much of the scenic rock detail you see was custom cast by Steve so it truly represents his vision of what he wants his road to look like. 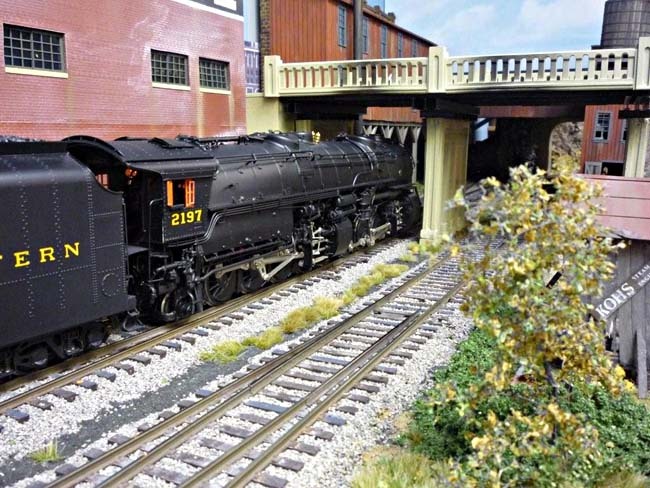 The layout looks fantastic and it was great fun to operate also!! 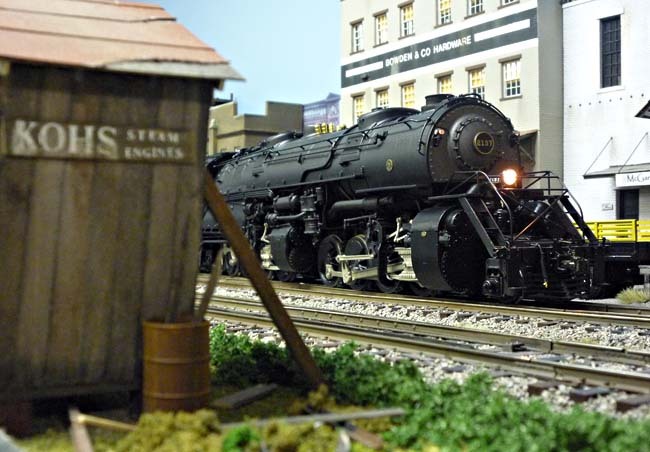 We hope to offer further updates in due course because of Steve's willingness to share his passion for model railroading. 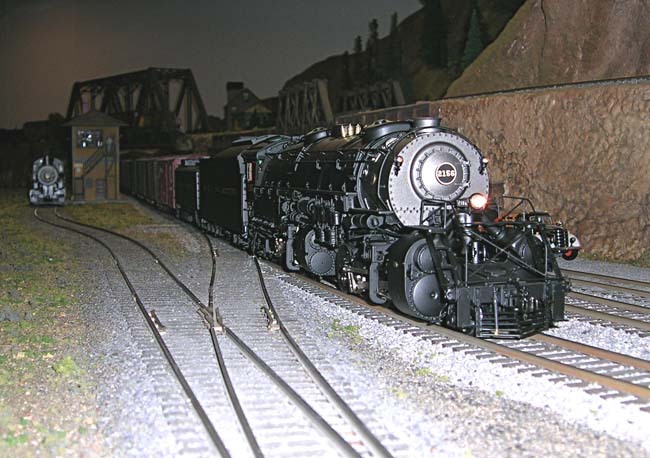 The three images immediately below are of one of our Kohs & Company Norfolk & Western Y6a's in-service on Ken Schlinger's road in Illinois. 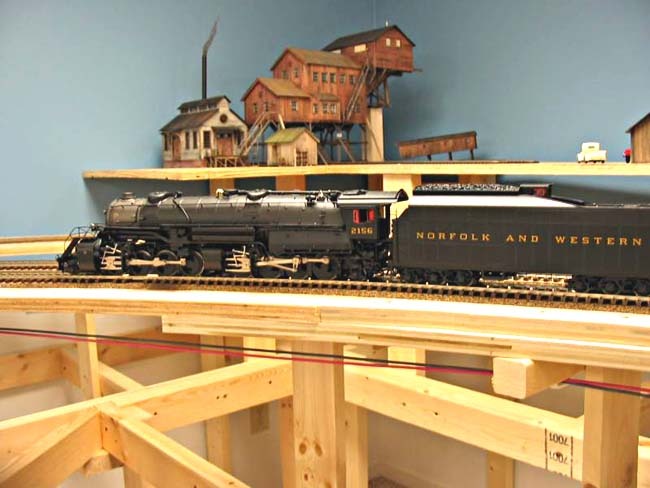 The layout is being built and operated by Ken and hie son Wade who specializes in doing the scenery. 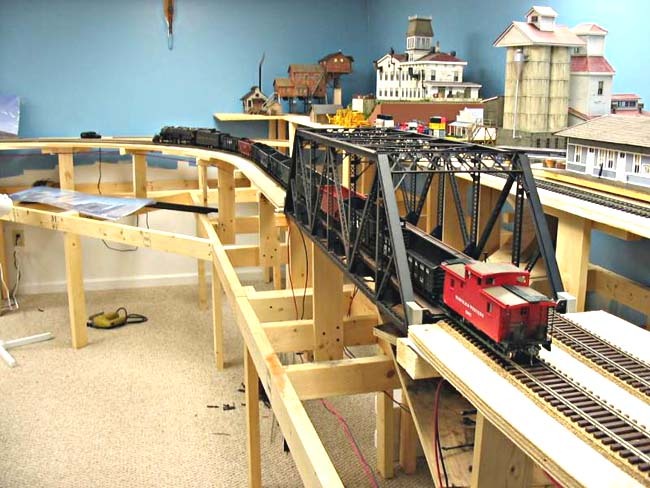 The two images below are from the layout of Dr. Steve Deloach who is located in Dickson, Tennessee. 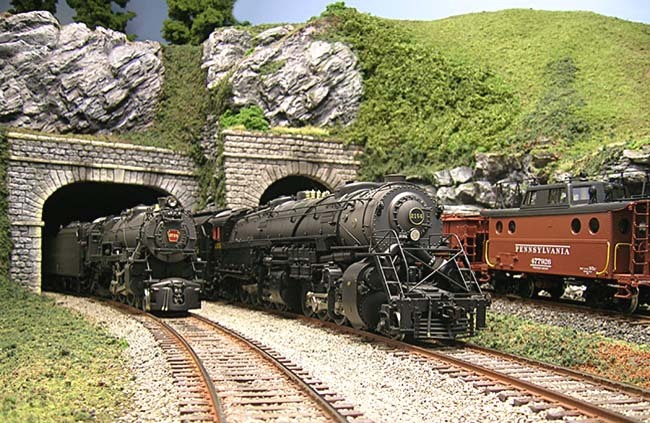 Things are getting very serious on Steve's layout as he and friends are making great progress in terms of getting operational. 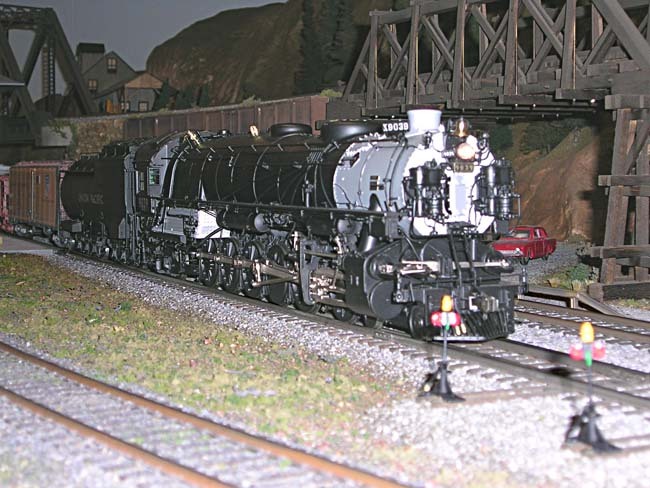 You can see Y6a #2156 in both photos being used for track testing. 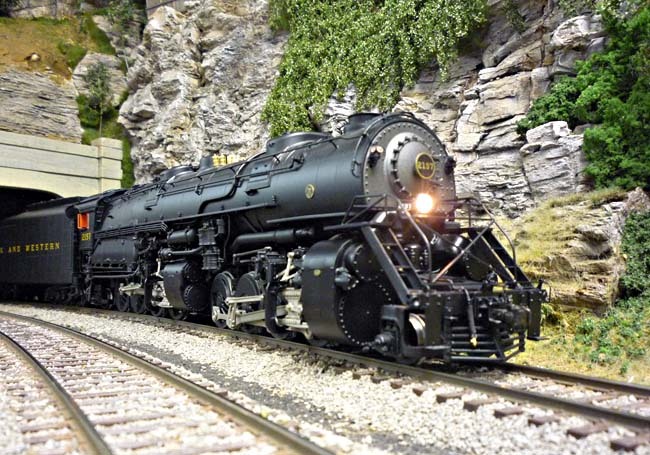 The image below is one of our Kohs & Company Union Pacific 9000's in-service on Ken Schlinger's road in Illinois.